swatantra , 20 Feb 2014i think itz a kids mobile Silly person this was a smart phone before the iphone. it was an organizer , web browser and it had apps. all those of you worshipping at the feet of steve jobs this device was the true pioneer. Ivan, 23 Aug 2011I have a Palm Treo 270. It is one of the best mobile phones I have used to date. It does the s... moreYour palm treo 270, was in that time the best phone ever made in the planet, palm engineers was in advance in making cellular regarding the others brands. In order to repair your antenna try to find on ebay a spare parts and any repair shop can fix it very easy. I have a Palm Treo 270. It is one of the best mobile phones I have used to date. It does the simple things in a great way. I now use both HTC and the Blackberry but the joy of using the Palm Treo has just not left me. I will continue to use it if I can get hold of a sevice centre which can repair my antenna which I broke due to my mistake. kate, 12 Apr 2010that is the ugliest phone i have ever seen!!! :lI agree... it looks like my grandmother! I remember my boss had this ways back and I envied her. Today, I can't stop laughing at the design and specs. i got my treo 270 long time ago, and i'm still very pleased by it. the problem is, now I need device with external memory and wifi. I have to find another newer version. If you are considering to buy a smartphone, I really recommend a Palm OS powered one! :) It is simple, yet very powerful and there are many free programs that can help you increase your productivity. I am now using a Treo 650 and looking to upgrade to a Treo 680. I like Palm OS better than Pocket PC Windows. I still have my 270 and every now and then get it out and touch it lovingly. As I grew up (technically) with Palm Pilot and then Handspring always using the infra-red with my Nokia 8210 to gain access to internet and email, the 270 was the most glorius thing to come my way. I had the Treo 90 and the Treo 180 and then Treo 180g first, but the 270 was glorious colour. Everywhere I went it fostered half hour conversations and in fact created my first consultancy opportunities as I went on to sell the knowledge of how to run a business with a Treo 270, a laptop and ACT for Windows. The real issue was always the memory capacity and that is why I made the transition to the Treo 600 and then the 650. Fond memories - Every now and then I slip my SIM card into it for the day and relive old times before MP3 obsession and ring tones from the movies! 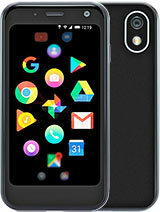 If ever Palm considered relaunching a clamshell design phone you can count me in. Life without a Palm... inconceivable even if the iPhone is 'supposed' to be manyana. I have owned and effectively used a Treo 270 for the past two years and its the best thing that's happened in my life as far as phones are concerned. Indeed, I always tell friends that "I don't use a phone; I use a Treo". For about 2 years, I had to work as a security man outside clients' premises at night whilst attending law school during the daytime, and with the Treo's ability to load word documents (thanks to documents-to-go software) from my PC, I always had my school notes with me and could read for hours in the dark whilst on duty. Today, thanks to Treo, I'm a lawyer. I still use my Treo extensively for my law practice because I can still keep my legal briefs and cases always by my side, including those valuable law school notes. Who needs a laptop when there's a Treo around? Making calls and sending/receiving text messages is such a joy on the Treo, not to mention how easy it is to fall more in love with Treo's Calendar and To-do software than with any woman... they are extremely dependent and reliable! I never have to keep any dates in my mind - my Treo simply reminds me as many times as I care to be reminded, and for ever. The downside of this brand - the 270 - is that the Flip screen/speaker phone easily seizes and will invariably break when you try to open it unconsciously open it to answer a call. Mine is broken but I have improvised a way of still using the phone by taping the flip cover to the back of my phone. A colleague of mine who I introduced to Treo also had his flip broken under the same circumstances. Battery power in phone use, as others have said, is really a nag since you have to charge the phone every day. Phone memory is also too small once you get addicted to using a Treo and all the thousands of wonderful software that go with it. On the whole though, Palm Treo i s the closest pal anyone can ever have. And since there are more advanced models of Treo, your guess is as good as mine. I've been saving for the past year for a Treo 650, but as soon as I saw the 680, that became my target and one day I shall sureley own one. I just wish I could get some kind of support to retail Treo phones in Ghana, especially to lawyers and marketing agencies. I am very happy to using the Palm treo 270, But I need your help, How to access the Internet through Paml treo 270 to HP laptop.